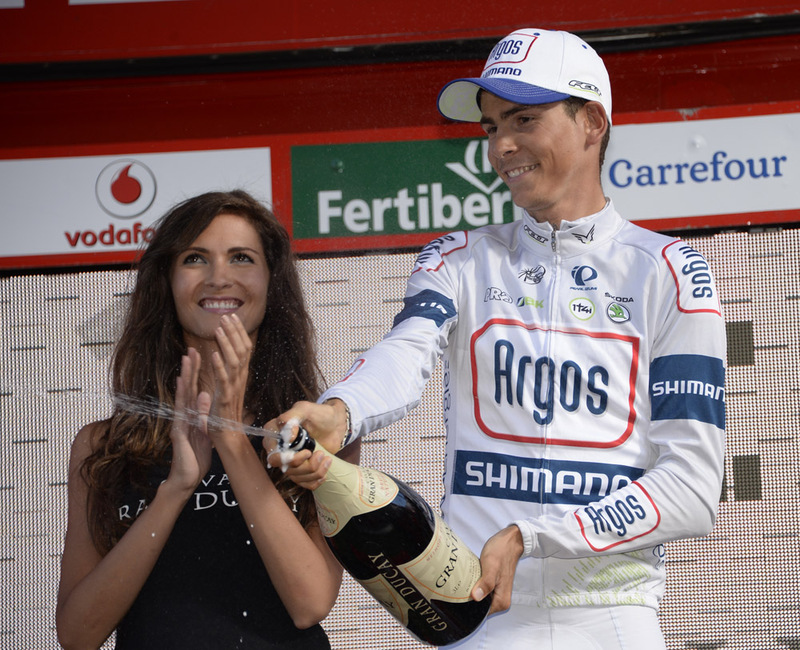 Warren Barguil (Argos-Shimano) proved that his stage 13 win was no freak accident by attacking in the final 10km of stage 16 to take another victory on the race’s final day in the Pyrenees. Behind, Vincenzo Nibali (Astana) was put under pressure by his overall rivals but clung onto the race lead. Twenty-one year old Barguil had looked in good shape when he joined the day’s large escape group, and picked his moment to attack on the final climb to the finish. 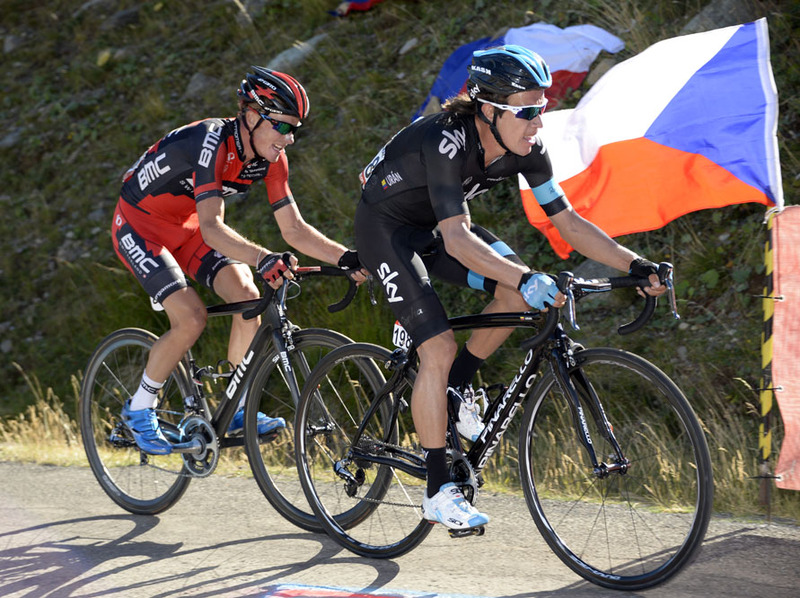 He quickly opened up a gap as Rigoberto Uran (Sky) and Dominik Nerz (BMC) chased hard behind. Although Uran bridged up to Barguil, the effort meant that the Colombian had little left for the two-up sprint and he had to settle for second in a photo finish. Bartosz Huzarski (NetApp-Endura) claimed third after catching the fading Nerz, who came in fourth. If the stage win was hotly contested, the fight for seconds between the classification contenders was explosive. First Alejandro Valverde (Movistar), then Nicolas Roche (Saxo-Tinkoff) and then Joaquim Rodriguez (Katusha) attacked the group containing race leader Nibali and Chris Horner (RadioShack). 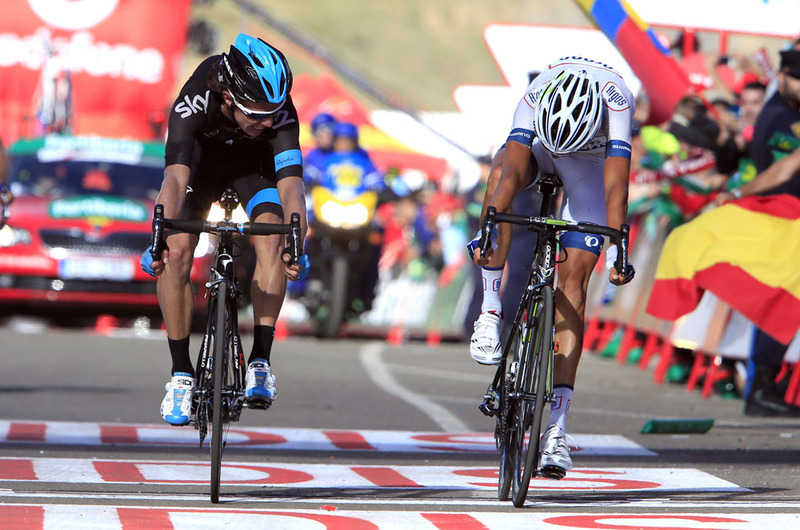 Rodriguez’s move stuck inside the final 2km, and the rest of the contenders realised that Nibali was struggling. Attack after attack put the pressure on Nibali, and Horner seized the opportuniy to gain as much time as possible on what looked on paper to be a fairly inocuous climb. The net result was that Horner moved within 28 seconds of Nibali in the general classification with a week left to race. Valverde also gained valuable seconds, and sits in third overall at one minute and 14 seconds. Tomorrow – Tuesday – is the second rest day of the 2013 Vuelta, before racing resumes on Wednesday with a lumpy little number from Calahorra to Burgos over 189km.